Sunday game – Revolution Centreville 3 pm and 6 pm. Gift cards and cash. Amounts increase if you play more than one game. Check out prize levels under events. Monday game – PJ Skidoos 7 pm and 9:30 pm – you can win $100 CASH for first place. You can still win second place GC also. PJ Skidoos has AMAZING drink and food specials. 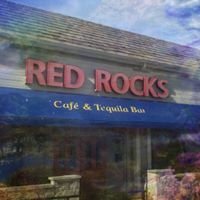 $4.99 Grill chicken tenders, best calamari etc, etc, etc.I dont mean to minimize the specials but there are so many I can’t list them all. $2.50 rails drinks cheap beer. It is best Happy hour in Fairfax. 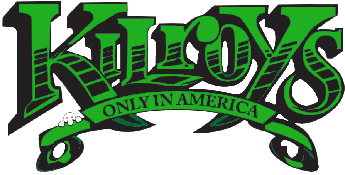 Wednesdays – Kilroy’s Springfield 7pm and 9:30pm on back patio. Prize is $100 CASH for first place for the 9:30 game if you play the 7pm game. Thursdays and Fridays – Revolution Centreville 7pm and 9:30pm: Top 3 win gift certificates for 7 pm game. $75 cash prize for 9:30 game if you play 7 pm game. Saturday game – No games at this time. Poker host(s) needed. You must be energetic, professional, honest, and trustworthy. Please email me if interested. WHY do people play for a Gift Certificates? I thought we could discuss why people in this area play for gift certificates especially low amounts instead of for cash. I have heard some reasons so lets gets those "excuses" out of the way first . . I dont play for the prize just for fun. . Ok if that is the reason then why not play for a bigger prize just in case you do win. Or why does not one just give the prize back and say oh I didn't really want it you keep it host. I like the place and I only play by my house . . this makes sense to me. But I know that in part some people dont mean this. The reason I say this is because I have had bars that now give gift certificates and I didn't see the people that are there now back then. Or I have the place that these people used to go to but now dont. So I open it up for comment. Lets make this a fun disussion.